Have a chimney cap installed in Dallas and Houston before a bird or animal enters the chimney. Full coverage chimney caps are better than a cap just mounted on the chimney flue. CWT installs only good quality full coverage chimney caps. Our chimney cap will cover the entire top of the chimney. This protects the bed of mortar at the top keeping the bricks stable and and not allowing any water into the chimney chase. All the caps keep out water and critters from nesting down the chimney flue. Chimney caps come in 24 gauge metal. Choices of the type of metals are copper, galvanized, paint grip, stainless steel, and colored metal. The colored metal comes in black, brown, almond, sierra tan, red, slate gray, dark gray, medium bronze, dark bronze, sandstone, 3 shades of white, forest green, and almost any color to match your trim or gutters. Chimneys come in two different flue styles, masonry flue or prefabricated flue (metal pipe). Masonry flue cap options include the #1plus, flat lid, hip lid, and the king top. Prefabricated flue caps start with a chimney chase cover. To enhance the prefabricated flue caps add a tutrle shroud or install a hip lid or king cap over the chimney chase cover. You cannot install a flat lid or a #1plus on a prefabricated flue because they are not designed to have a spark arrestor inside and under the lid. 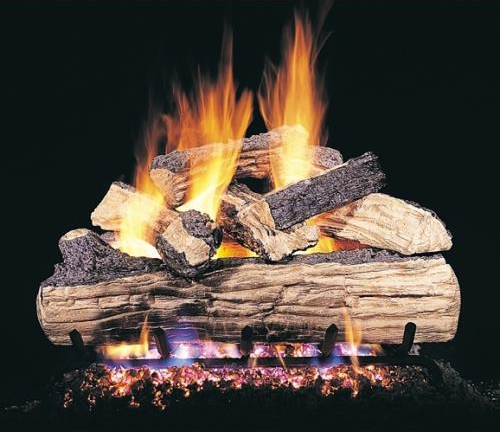 A spark arrestor is a pipe cap for a metal flue and by code you must have one installed on a prefab flued fireplace. To install a chimney cap in Dallas and Houston may be different than the rest of the country. The Texas weather is very windy, with Dallas having straight line winds and tornadoes and Houston having hurricanes CWT has come up with a wired installation method. We take a heavy gauge wire and attach it through the chimney cap skirt. Then we go down 3 or 4 rows of brick or stone and drill a hole for a concrete anchor. Attach the wire to the anchor and nail it in the hole. The chimney caps vibrate ever so slightly but do not vibrate the anchors out. The wire takes the vibration not the anchors. When we measure for a chimney cap we have to make the cap slightly larger to fit over the chimney top. Typically we make it 3/8″ – 1/2″ larger for a snug good custom fit. Options on some caps are how tall the legs need to be extended. Hasrdware cloth screen or expanded metal for screen. On hip lids you can have a high or low pitch. Staning seams can be added or taken off. Finials can be designed to enhance the chimney caps. Weathervanes can be added on top of the lids for a complete custom look to your exterior of your home. All options add value and do cost more in addition to the base price. All options are available for a chimney cap Dallas or Houston chimney cap installation. Install a chimney cap in Dallas and Houston before any further damage occurs to your flue causing a fire hazard or an animal from taking up residence inside the fireplace. 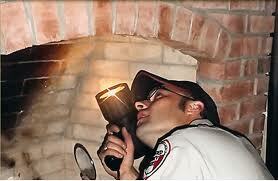 Chimney Wildlife Tech 214-295-9318 is ready to inspect your chimney for safety. We can handle any repairs, install a chimney cap, and measure for gas logs or glass doors to be installed. Our Dallas chimney sweep service can replace any chimney that has become loose or been blown away from a tornado or straight line winds. We specialize in siding and trim repairs on wood chimney chases. Call for a free estimate. Chimney Wildlife Tech (214) 295-9318 is a chimney sweep in Dallas that not only does a chimney service but also does a nuisance wildlife removal service. Raccoons, birds, amd squirrels are common problems in chimneys. Since we here at Chimney Wildlife Tech know are way around the chimney we decided to learn the trapping business and remove all sorts of animals that are nuisances. A chimney sweep in Dallas in the months between March and August deal with many animal calls in a chimney. The bird calls have not started yet, but raccoons and squirrels in chimneys sure have. Most people don’t even know what they have in the chimney. Squirrels are usually load and homeowners can hear them. Raccoons on the other hand do not make any noise until the pups get a week old. Then they make load noises to feed. All of this can be avoided with a good chimney cap to keep the critters out. Chimney Wildlife Tech can get the critters out and keep them out for a lifetime of no worries that something is living in the chimney. Chimney Wildlife Tech can in one appointment inspection and do a chimney sweep, we can do an exterior house inspection for critters and rodent entries into the house, and an attic inspection for nesting and droppings. All services have separate fees but discounts may apply, ask the office at time of scheduling. Our chimney sweep Dallas service area includes all Dallas surrounding cites and the Fort Worth side of the metroplex.